← Is Religion “Different Enough”? 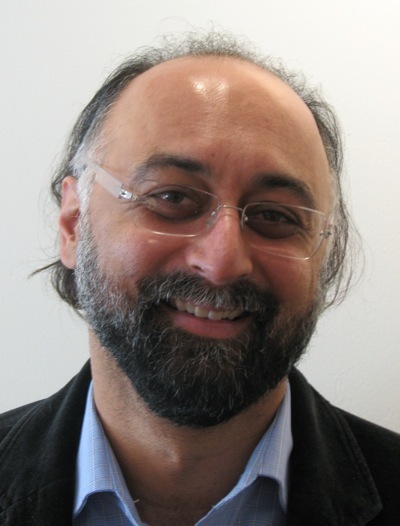 This is the third, and final, installment of an interview conducted with Professor Amir Hussain, the new editor of the Journal of the American Academy of Religion. Be sure to read Parts One and Two. PHILIP L. TITE: In your opinion, should an academic journal reflect or shape tendencies in the field? How does JAAR either reflect or shape the field of religious studies? I’m curious if your view on this question has a bearing on what you are looking for in a good submission to the journal. PT: Some have voiced concerns over the increased place of confessional agendas in the academy, specifically that we are incrementally undoing the hard work of the 1960s to 1990s that helped to established the academic study of religion as a viable part of the humanities and social sciences. As JAAR is the flagship journal for the AAR, could you comment on this concern and the role of the journal in such discussions? AH: I think we represent, precisely, the academy. Not a part of it, but the whole of it: the more theological voices in the AAR as well as the study of religion voices; the confessional voices and the non-confessional ones. We are not the Catholic Theological Society of America. We are not the North American Association for the Study of Religion. I happen to be a member of both of those groups, so I mean nothing disparaging by mentioning either of them. We are the American Academy of Religion. I want to see our conversations reflected in our journal. That said, we have rejected articles because they were too confessional, or because the arguments that they made were purely or solely theological ones. PT: We live in an age of rapid technological change, which is reshaping traditional print publishing (including academic publishing). How has technology impacted JAAR and how do you see technology influencing the future of the journal? AH: When I interviewed for the position, I brought in a copy of the journal with the instructions to submit “3 paper copies and a disk”. I don’t think I’ve used a disk since about 2002. I don’t know that they make them any more. Now, we have an online submission and review system, Scholar One. We publish in color on the web (see above). I’m hoping to have video and audio links in our web version that we couldn’t include in a print version. We have articles available for free online so as to maximize our readership. I think we publish great work, and I want that great work to be read, not sit unopened on a shelf or unaccessed on a server. And we are in a fortunate position as all of our work is published first online, and then later in a print issue. So we don’t have the problem of what goes online and what comes out in print. PT: Where do you see the journal going in the future? What would you like to see? I’m also wondering if you have any special plans for JAAR in order to accomplish these goals? AH: If the poems caused some conversation last year, I think the visual art will cause more conversation this year. Stayed tuned for that. Again, I want as many people as possible to read JAAR. Not that I want to turn it into something non-scholarly, but that scholars in our field and in other fields should read it, should turn our pages. We are also including film reviews starting with the June issue. That first one will be done by noted scholar of religion and visual culture, S. Brent Rodriguez Plate. We are also doing some more roundtable pieces. By that I mean a short piece to start a discussion, and responses by other scholars. That gives us more of a conversation and less of a monologue. PT: Thank you so much for taking time out of your very busy schedule to share your thoughts with our readers. We also want to wish you the very best as you continue your hard work on the journal. This entry was posted in Academy, Interviews, Philip L. Tite and tagged AAR, academic journals, American Academy of Religion, Amir Hussain, Religion, religious studies. Bookmark the permalink.